Livedrive is an online backup service with two unlimited backup plans to choose from, both of which can be customized and fine-tuned to work best for your setup. You might not have heard much about Livedrive but they've has been in business since 2009 and have over 1 million customers. If Livedrive seems like something you may be interested in, keep reading for more details on the plans it offers, the features you'll be able to take advantage of, and my thoughts on how it worked for me. Check out our Livedrive Tour for more on how the software end of Livedrive's service works, like how to set up your initial backup, what sorts of fine tuning you're able to do, and lots more. This is the least expensive plan you can buy from Livedrive. It offers an unlimited amount of space to back up as many files as you'd like from one computer. These are the price options for Livedrive Backup: Month to Month: $8 /month; 1 Year: $84 ($7 /month). More computers can be added for an additional $1.50 /month, each. Livedrive Pro Suite also supports an unlimited amount backup space, but it lets you backup up to 5 computers instead of just one. Here are the different purchase options you have if you buy Livedrive Pro Suite: Month to Month: $25 /month; 1 Year: $240 ($20 /month). Just like with the Backup plan, you can add additional computers for $1.50 /month. Pro Suite also includes a built-in plan called Briefcase, which gives you 5 TB of cloud space you can use for storing files online. More can be had in 1 TB increments for $8 /month. The difference between Briefcase and the regular backup feature of Pro Suite is that the files aren't backed up automatically. Instead, you treat Briefcase like another hard drive attached to your computer and everything you copy to it is uploaded to your 5 TB account. Files and folders you put in your Briefcase automatically copy to the other computers you have attached to your account. Plus, you can share files from your Briefcase with anyone you like, and easily copy files from your Pro Suite account into your Briefcase. Livedrive Briefcase can actually be purchased outside of the Pro Suite plan, or even in addition to the Backup plan, but it's not a true backup service in and of itself. If you purchase this alone, you get 2 TB of space. These are the pricing options for the standalone Briefcase plan: Month to Month: $16 /month; 1 Year: $156 /year ($13 /month). If purchased alone or with the Backup plan, 2 TB of space is included at this price, with the ability to buy more in 1 TB increments for $8 /month. Compare Livedrive's plans to the plans of other popular online backup services in these comparison tables: Unlimited Online Backup Plan Prices and Multi-Computer Online Backup Plan Prices. Livedrive Business is another plan offered by Livedrive that's aimed for the whole office with support for cloud collaboration, more users, lots of cloud storage space, file sharing, a central admin control panel, FTP access, and more. Livedrive doesn't have a free backup plan, but any of it's paid plans can be tried for a period of 14 days before you commit to buying a subscription to the service. Payment information is required to activate the trial, but you aren't charged until the trial runs out. If you're new to online backup and would like to try out a free plan first, see our list of free online backup plans for some of those. Files you backup with Livedrive will immediately begin uploading to your online account with unlimited space to hold it all, which is exactly how a backup service should be. See our Online Backup Comparison Chart to see how Livedrive stacks up against some of the other backup services I recommend. Livedrive isn't the cheapest backup service you can buy but it does have a nice collection of features. Plus, the flexibility of the plans should make it easy to find one that works well for you. However, as with everything, there are some pros and cons you'll need to weigh before deciding whether you should buy a Livedrive plan. First and foremost, I really like the custom options with Livedrive's plans. You can purchase a basic Backup plan and then add in extra computers and even Briefcase features if you want, without buying the full-blown Pro Suite option. This is great if you just want 2 or 3 computers instead of the full 5 like you get with the Pro Suite plan. I also like that you can back up folders to Livedrive from the right-click context menu in Windows Explorer. This makes backing up easier than having to open the settings and then select the folders you want to upload. While Livedrive is backing up your files, you can tell it to suspend backing up the one it's currently uploading in case it's taking too long, which is handy. It's also useful if you don't necessarily care to backup that particular file right away, and would rather open up that upload room for something more important. While uploading files through my Livedrive account, I noticed it was using the max speed I allowed the program to use (through the bandwidth controls). Overall, in my experience, uploading data to Livedrive was as speedy as most other backup services I've used. It's worth understanding, though, that upload times are dependent on your own network's bandwidth availability as well as other factors. See How Long Will the Initial Backup Take? for more information on this. Something else I like about Livedrive is their mobile apps. If you've backed up music to your account, you can use the built-in music player to find all your music files and play them back right from the app. Documents, images, and videos can also be viewed and streamed through the app, which most people will probably appreciate. You can even setup your mobile device to automatically back up your images and videos, which is great if you like to keep your mobile media files backed up. The first thing I should mention is that you can only backup folders with Livedrive. What this means is that you can't select an entire hard drive, nor can you choose single files, to backup. The program only lets you select folders. This means if you want to backup an entire hard drive, you have to place a check next to the folders at its root to ensure all the files inside those folders are actually backed up. Something else I don't like is that Livedrive doesn't back up every single file that you tell it to, which is different than some similar backup services that do backup all files, no matter their file extension. Cookies, browser cache files, settings files, virtual machine files, application data, temporary files, and some system files are permanently disabled from being backed up. This means there's a handful of files Livedrive won't backup for you, which is worth understanding before you commit to a backup plan. See Do Online Backup Services Limit File Formats or Sizes? for more on this, as well as help deciding if this is even a big deal to you. I also don't like that Livedrive supports keeping only 30 versions of your files. This means after 30 edits of any particular file, the older ones will begin to delete from Livedrive's servers, which means you can't rely on an unlimited number of versions of your files like you can with some other backup services. Livedrive also only keeps deleted files for 30 days. This means whether you delete the file from your computer, or simply remove the drive that the file was originally located at, you'll only have 30 days before it's permanently irrecoverable from your backups. When restoring files with Livedrive, you, unfortunately, can't use the web app to download folders, as it only supports restoring files. For restoring folders, you have to use the desktop program. Something else to think about before choosing Livedrive is that some users have reported that the Livedrive support team isn't so great at responding to issues you might be having with the service. This could be completely subjective, but it's something to think about nonetheless. 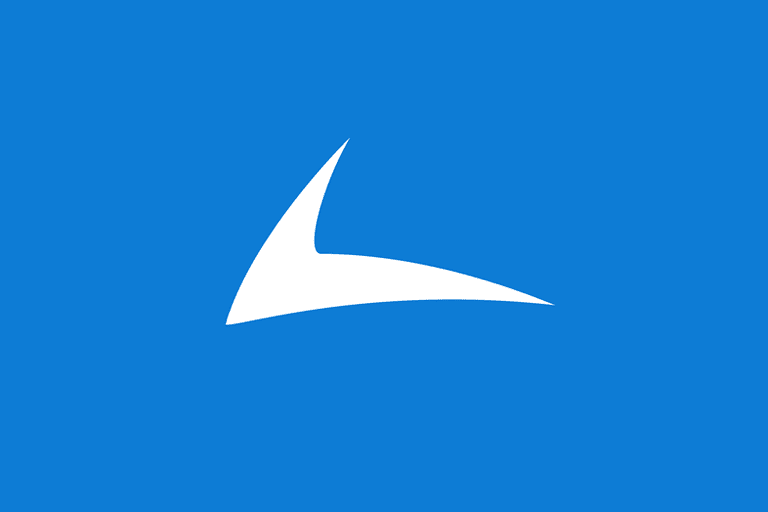 I think Livedrive is a great choice if you're looking for a combination of features that you just can't find in a higher-rated plan, especially if you'd like to include a cloud storage-type addition (i.e. Livedrive Briefcase). Not sure Livedrive is what you're after? Be sure you check out my full reviews of Backblaze, Carbonite, and SOS, any of which might be a better fit.